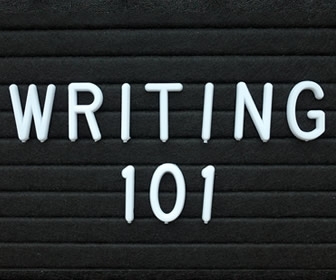 Like it or not, writing is an essential skill and you will be judged (either harshly or favorably) by your ability to communicate well in the written language. This article highlights common grammatical pitfalls to avoid. The ability to write well will get you far in your nursing career and gives you the competitive edge in a very tight job market. Feeling overwhelmed by her many job duties, the director of nursing (don) hastily sent out the following memorandum to the nursing staff at her facility. Instead of it being a polished professional communication, the memo is difficult to read due to poor grammar and faulty use of punctuation. Their is a new attendance policy for all nursing staff. It's attached to the email. A copy will be placed in your hr manual. Your expected to review as their are changes. Everyone has a new record for there attendance. Also, the committee on worker safety are about to announce it's decision, everyone will be given their own personal copy of the committee's report. If their are any questions', feel free to contact me or hr. Like it or not, writing is an essential skill in contemporary society and you will be judged (either harshly or favorably) by your ability to communicate well in the written language. People instinctively evaluate a person's professional abilities based on the use or misuse of grammar. It is just as important for you to hone your writing skills while in nursing school, as learning to give an im injection or put in an iv. The ability to write well will get you far in your nursing career and gives you the competitive edge in a very tight job market. A singular noun (such as "patient," individual," etc.) should always be followed by a singular pronoun (he or she - not "they") and vice versa. Do not use a plural pronoun with a singular antecedent. Incorrect: a researcher must choose a population that best fits their hypothesis. Correct: a researcher must choose a population that best fits his or her hypothesis. Incorrect: it is important for healthcare professionals to stay current on the standard of care for his or her organization. Correct: it is important for healthcare professionals to stay current on the standard of care for their organization. Two or more independent clauses incorrectly fused together (generally by a comma) form a run-on sentence. To correct a run-on sentence, separate it into two or more sentences. Incorrect: Studies are conducted to determine the real and the true, researchers place great value on identifying and removing sources of bias in their study or controlling their effects on the study findings. Correct: studies are conducted to determine the real and the true. Researchers place great value on identifying and removing sources of bias in their study or controlling their effects on the study findings. A sentence fragment is a group of words that do not form a complete thought. Incorrect: the probability level at which the results of statistical analysis are judged to indicate a statistically significant difference between the groups. Correct: statistical significance is the probability level at which the results of statistical analysis are judged to indicate a statistically significant difference between the groups. The apostrophe should be used to show possession. Incorrect: if there is evidence to support a researchers hypothesis, then the statistics are useful. Correct: if there is evidence to support a researcher's hypothesis, then the statistics are useful. An apostrophe should not be used to show the plurals of nouns (which, I have noted, is a common error among millennial students). Incorrect: a statistically significant result is when the results agree with those predicted by the researcher and back up the logical linking's developed by the researcher. Correct: a statistically significant result is when the results agree with those predicted by the researcher and back up the logical linkings developed by the researcher. Ensure the correct use of "who" and "whom." Incorrect: It is the critically thoughtful nurse whom realizes the need for adjustment to maximize quality of care. Correct: It is the critically thoughtful nurse who realizes the need for adjustment to maximize quality of care. Where there are words that sound alike but have different spellings and meanings (homophones), take great care in ensuring that you are using the correct version to fit the context. Most spell checker tools are useless in detecting an incorrect homophone. Examples: your, you're; there, their, they're; affect, effect; its, it's; to, too, two. Always remember that it is a very competitive world out there and you are selling yourself. First impressions matter. Good writing skills are essential to success in all your career endeavors. One little mistake in grammar, spelling, or punctuation can diminish your credibility, and ruin your resume, cover letter, or an otherwise stellar presentation. Don't allow poor writing to put your career on the skids. Let your writing skills accurately reflect the competent professional that you are. mclennan has 8 years experience and works as a RN. Hear, hear! I am sometimes APPALLED at the poor quality of writing I see from my co-workers, and here at AN. How did some of these people graduate school? Also, why do they get so defensive when called out about it? I don't care if English is your 2nd or 3rd or 1st language - the medical field requires CRITICAL communication! Life and death depend on it. Thanks for this excellent article! oooooh, major hot button for me. i'm with you 100%. i hate it when someone complains about losing an opportunity (well, usually it's "loosing") because writing is such a challenge. when subsequent posters say spelling and txtspk doesn't matter if you're a good person with passion and a dreeeeeeaaaaaaammm, those posters are undermining your first step in improvement: recognizing the problem. it does matter if your spelling, punctuation, grammar, and usage are poor. whether you like it or not and whether or not your peers agree, the people who will control your grades, your job applications, and your advancement think so. is writing better hard work? sure it is, if you've never had to do it. like any other skill, you have to work at it. you wouldn't think much of your car mechanic who did a crummy job on your transmission because he couldn't be bothered to go to transmission school. so with bothering to make yourself look educated, careful, committed to good communication with peers, superiors, and underlings. if you don't put in the effort, you will get what you'll get, which will be ... not so much. ignore this issue at your peril. those voices telling you that it doesn't really matter are not doing you a favor. in other times and cultures they'd be called the voice of the devil, trickster, loki, coyote, the tempter, satan. they're seductive, but they're wrong, and they will hurt you in the long (or even the short) run. These are points I have been making for years. I have always aspired for a mastery of written English. However, too many college-educated professionals seem to write so poorly in today's society. These people must have taken and passed college-level English courses as part of their general education, so I continually wonder how they end up with writing skills that appear to be less than a sixth grade level. I don't think they had the Sisters of Mercy for Catholic grammar school and high school. Would've made a difference! Dazglue has 8 years experience and works as a RN. I think you may know my DON! I worked as a school nurse for a while, and would be horrified at the emails that were sent out by the principal. She had such poor spelling and punctuation, it was sad. I wanted to print one out and use a red pen to correct it, then send it back to her. Now she is a superintendent of a small school district, with a Ph.D. It's frightening. And we are all judged by how we present ourselves, it is important to make that a good presentation. QuarterLife88 has 5 years experience and works as a Registered Nurse. If I see one more person use "your" as a one size fits all, I am going to kill myself. Their ain't nothin wrung with dat their memo. Its not her falt for those spellin arrors. She was prolly in a hurry like im in now. I blame the schools that let these illiterate students graduate. It's a symptom of the dumbing down of our institutions. A college degree no longer assures the employer that the applicant can think his/her way out of a tin can.